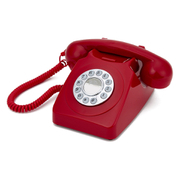 Retro-inspired GPO 746 push button telephone. 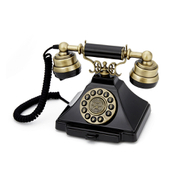 This replica of the iconic GPO 746 wallphone features a wall attachment for quick and easy mounting, an extra-long cord for convenient mobility when you take your calls plus a vintage style push button dial. 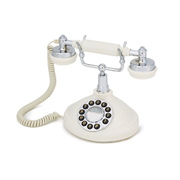 A standard BT plug connector offers modern convenience to a retro-looking home phone which is complete with a traditional bell ring that brings an air of nostalgia to your home. – L.R.